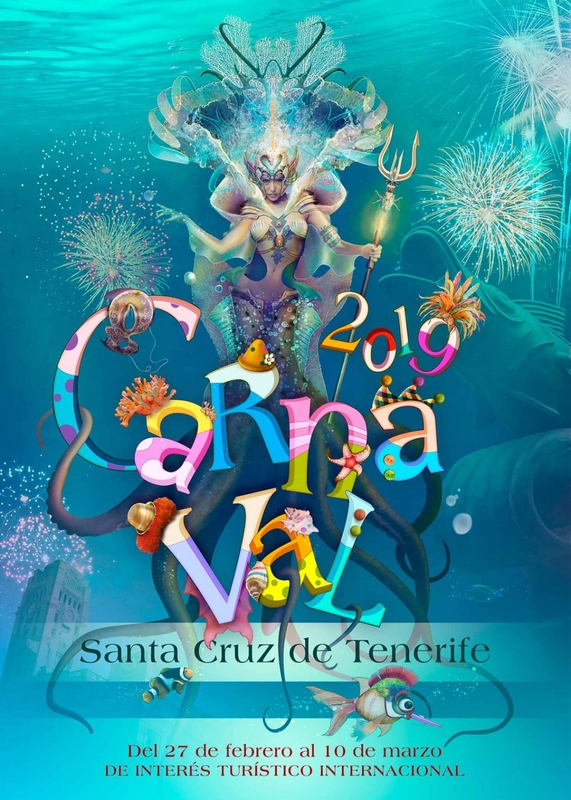 If you’re watching Donald Trump in a passionate embrace with Hilary Clinton, a six foot rabbit downing a jug of Mojito and Mother Teresa shaking her hips like Shakira to salsa music, and you're not dreaming, the chances are, you’re in fancy dress celebrating carnival on the streets of Santa Cruz de Tenerife. From February 1st until March 10th, a string of glitzy galas, pretty parades and stunning street parties will light up the streets of the island’s capital for the second largest carnival on the planet behind that of Rio de Janeiro. This year's theme is The Deep Blue Sea. Wednesday 27th February, 2130 - Gala for the Election of Carnival Queen at the Centro Internacional de Ferias y Congresos. Tuesday 5th March, 1100 - Grand Daytime Parade on Avenida Francisco La Roche. Wednesday 6th March, 2200 - Burial of the Sardine, Calle Juan Pablo. Saturday 9th March - Daytime Carnival with floats, parades and live music lasting until the early hours. Sunday 10th March 2100 - Closing Ceremony and Fireworks Display, Plaza del Príncipe.